Behind the scenes in my studio. 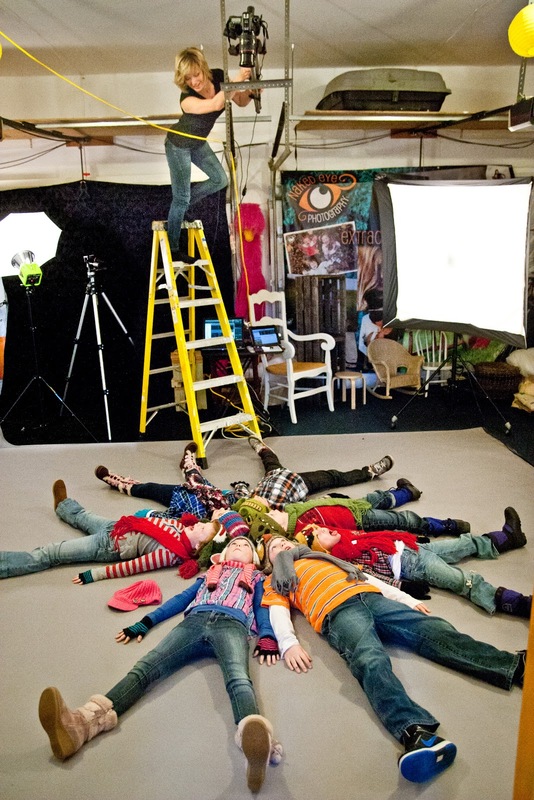 Making a Human Snowflake out of Monkeys, cousins and special friends for our 2012 Christmas card! Photo credit: Sophia Skye McLachlan (12 years old).